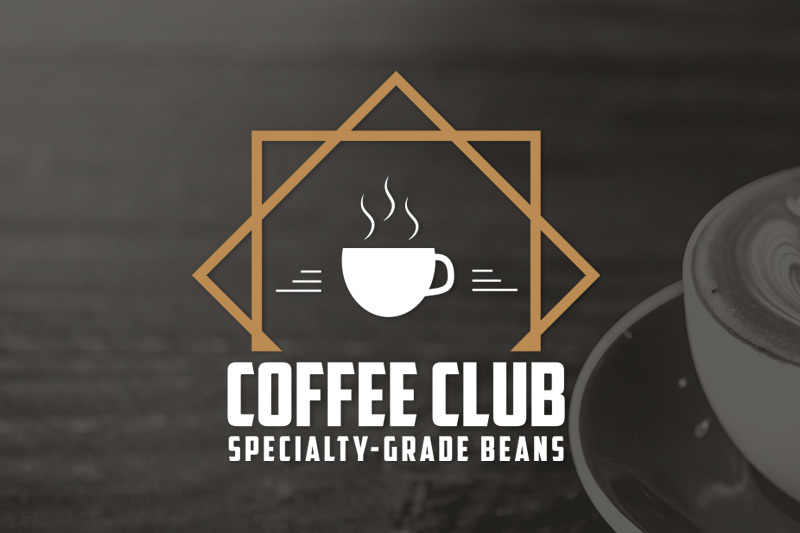 Sonofresco is proud to offer a wide range of High Quality Specialty Grade green coffee beans. Choose from single origins, organics, fair trades, multi certs, and Sonofresco Signature Blends, shipped in durable, double wall, poly lined boxes for safe travel and extended shelf life. A full box of any of our single origin or signature blended unroasted coffees shipped in 20 or 50 pound quantities. 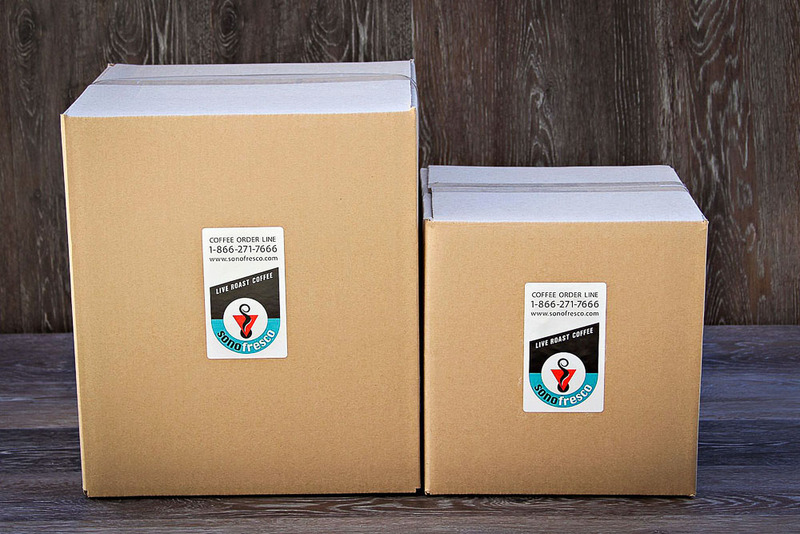 Full boxes are easy to handle and perfect for those looking to do some serious roasting. 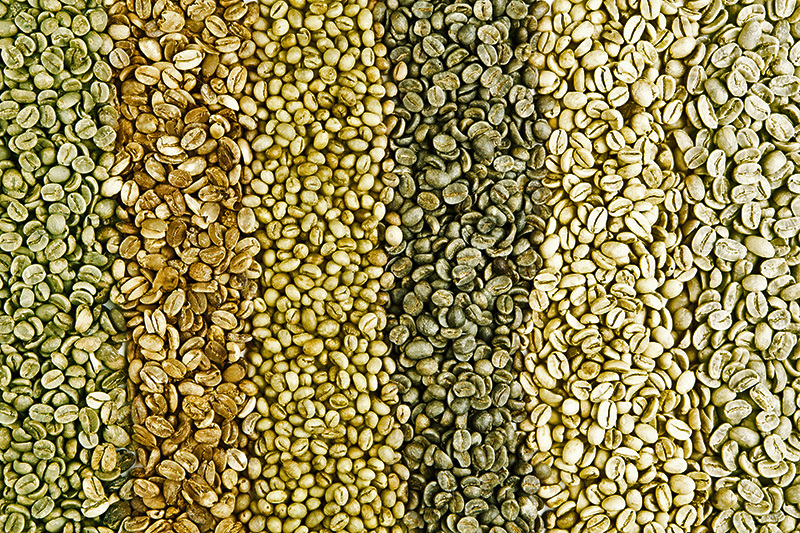 Choose from a Variety of Beans! WHATS INSIDE? A BOX OF OPTIONS, PICK FOUR! Need a small amount of a particular coffee, not sure what’s right for you, or need to expand your offerings? The Build A Box option is the way to go. Choose any combination of four single varieties or signature blended unroasted coffees, and we will pack them in convenient boxes and ship to your door. Mix Match any of our offerings to create a box of what you need. Busy, no time to call? Save time and order online with stress free planning. Choose from any of our unroasted coffee offerings, choose a repeat order frequency, sit back and let us take care of the rest. No need to worry, your order will ship automatically per your requested order frequency. Easily manage your account, change frequency, order quantity, or cancel an order any time*. *please allow 24 hours notice of order changes, etc.